I just wanted drop a note to wish everyone a Happy Veteran’s Day. For those of you stateside, there are a ton of free meals and other offers available. I have many of them posted on our website, but there are many local offers that I’ve seen depending on the area. At the very least, I know I’ll be eating lunch at Applebee’s tomorrow. The Seahawks were generous enough to donate a batch of tickets to military families for this game, so nearly all of the folks who I knew were looking for tickets will be going to the game. And, as many of you know I also receive donations, sometimes only hours before game time, from people who can’t make it to the game and want to pass their tickets onto military members. If you think you might be able to attend at the last minute, please drop me an email with your name and cell number so I can reach you quickly if an offer comes through. Generally, I’ve been getting two tickets, but sometimes they are single tickets so please let me know if you have a particular preference . I also wanted to pass on that Sea Gal Andrea has generously offered to personalize and sign the recently released 2012 Sea Gals calendars for those of you out of the area or serving overseas. The calendars are $15 and they help support the Sea Gals with their uniforms, travel, etc. Personalized and autographed calendars are sold at a premium via their website, so I’m very appreciative of her offer. If you’re interested in one, I’m thinking $20 would cover the calendar and shipping. If you have PayPal you can send payment to military.seahawkers@gmail.com or if you have a Serve card, you can pay here: https://widgets.servevirtual.net/ViewWidget.aspx?wid=2502. Please send along your personalized message, or you can leave it up to her. Please respond by this Sunday and I can get it mailed out to you next week. Seahawks defensive end Jimmy Wilkerson said he will try and swing by and there is the potential for a couple other players to show. Local bloggers and media members who support the military are also planning on coming by. It should be a great time. I should mention that we’ve had 13 new members join in the last 10 days. Welcome to you all! It’s been a busy week, and for those newer members wondering if I’m just about done spamming your inbox, I usually keep the email traffic to game previews and recaps (yeah, those are on their way in the next few days, too). So in consideration of this special week, I hope you’ll forgive me. Seriously though, I haven’t received any emails to stop . . . yet. And because it is still Thursday in the western United States as I type this, it’s not too late to offer birthday wishes to the U.S. Marine Corps. Semper Fi, Devil Dogs! I’m looking forward to seeing friends this weekend as well as meeting some of you for the first time. Win or lose I’ve never had a bad day at a game, and I don’t expect this weekend to be any different. 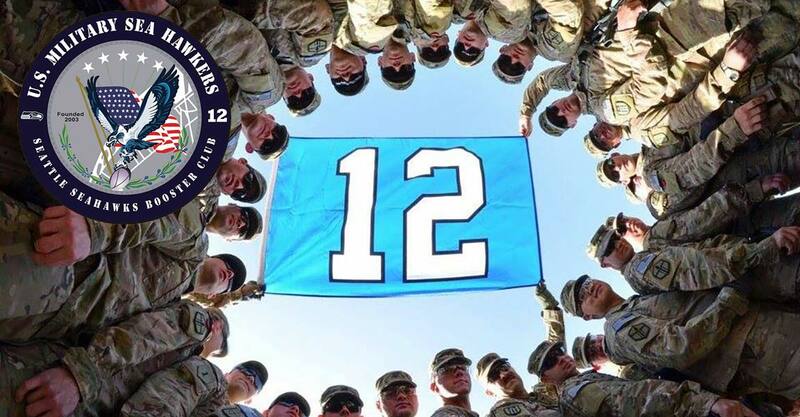 Happy Veteran’s Day and GO SEAHAWKS!! !